On the Road….just like Kerouac but without the manic episodes, drugs, fast cars, poetry and lascivious relationships. 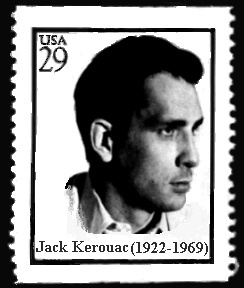 So, not like Kerouac at all but possibly with the same amount of wandelust and a lot less angst (oh, and at least at this point we are not planning to create an entire counter-culture movement either). We’re just a regular American family that has decided to explore the world together while we can. I didn’t read “The World is Flat,” by Thomas Friedman, (however I do own the book in hardcover and I think I have read the inside cover and possibly even the NY Times Review) I definitely understand the idea of an increasingly global world where we interact closely with countless countries and cultures. My wife, Amy, and I thought it would be great time to go out and meet the neighbors. Our kids are old enough to benefit from the experience and young enough to have the flexibility of leaving the world of public education for a year without too much turmoil. I will be ending a 3 year work contract and my wife, Amy, loves to travel and learn and has been hankering for a big adventure and doesn’t have an employer to tie her down. We are planning to leave in mid-August of 2011 and travel to Europe, Asia, Australia, New Zealand, Africa, and South America through the middle of July 2012 when we will return to suburban Detroit for the next chapter of our lives. The intensive planning has begun (including the launch of this blog which may or may not be updated frequently by various members of our travel crew) including everything from booking flights to collecting names and addresses of far flung friends of friends who may be willing to take us for a walk along the Great Wall or tell us where to get a haircut in Helsinki (although we are not planning to go to Finland at the moment). We will keep you posted on our plans.